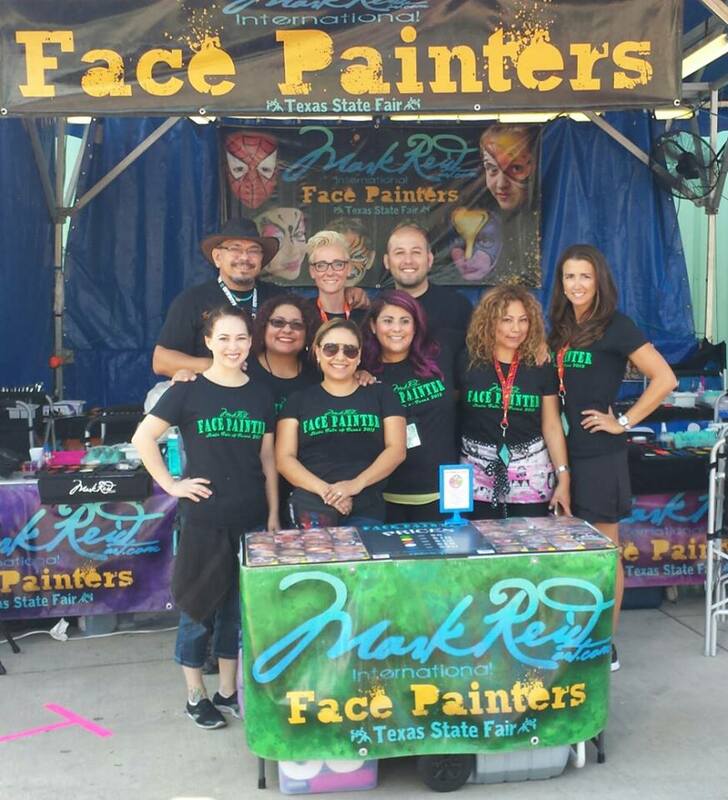 When I first started my face painting journey I printed and photo copied pictures from the Snazaroo picture forum, and Marcela’s books. I spent a fortune laminating them at kinkos and after 4 or 5 events my first picture book was taken. My second attempt at a nice display board met its demise at an event where a rain storm came through and ruined it, and my last display banner was a victim of pregnancy brain when I left it at a school carnival and they disposed of it. So after three failed attempts at a display board I resolved to say I have resorted to winging it and using my voice to get the kids excited enough to let them paint them. There is a definite benefit to having a display book or display banner. 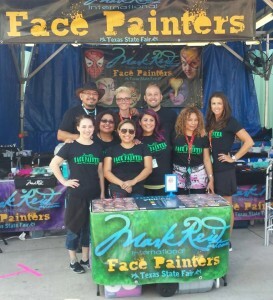 Mark Reid has operated a successful face painting booth at the Texas State Fair for over a decade. He prefers using a set display board with pricing. Personally I love the element of surprise when I paint children. As I explained, I lost three displays and no longer wanted to keep losing money, so I do not have a display board. 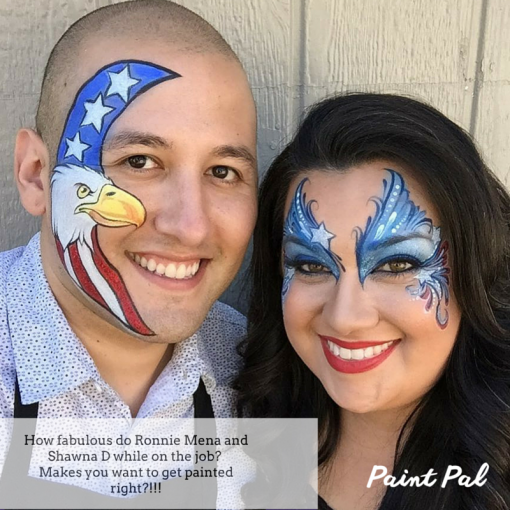 So you might be asking…what do you paint, how do the customers know what they want, and how do you convince them you are a great painter? When kids ask if I have a picture book or choice menu I tell them that I love to be creative and try to paint anything they want. … This can create a pickle sometimes as I find myself with the strangest requests but it frees me up to change colors, be creative, and constantly change my offerings without having to change my display. 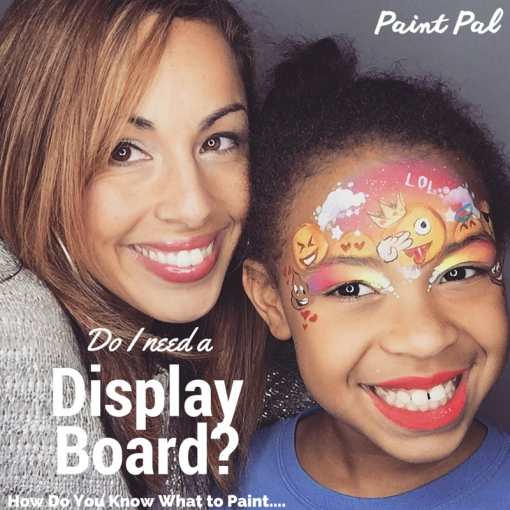 So the next question you are probably ready to ask is… whether you choose to use a display board or not what designs make the cut? And how do you know what designs to offer? Outside of those designs, the best way to gauge inspiration and design ideas is to talk to your customers (the kids) ask them what they love, what they want for Christmas and pay attention to the designs on their clothing. As the mother of 2 sons when I shop for them at Target or clothing stores every season there is a ” popular theme”. Currently, Star Wars and Mindcraft are trending, so it makes sense to have a Star Wars and/or MindCraft design ready for when a customer asks. 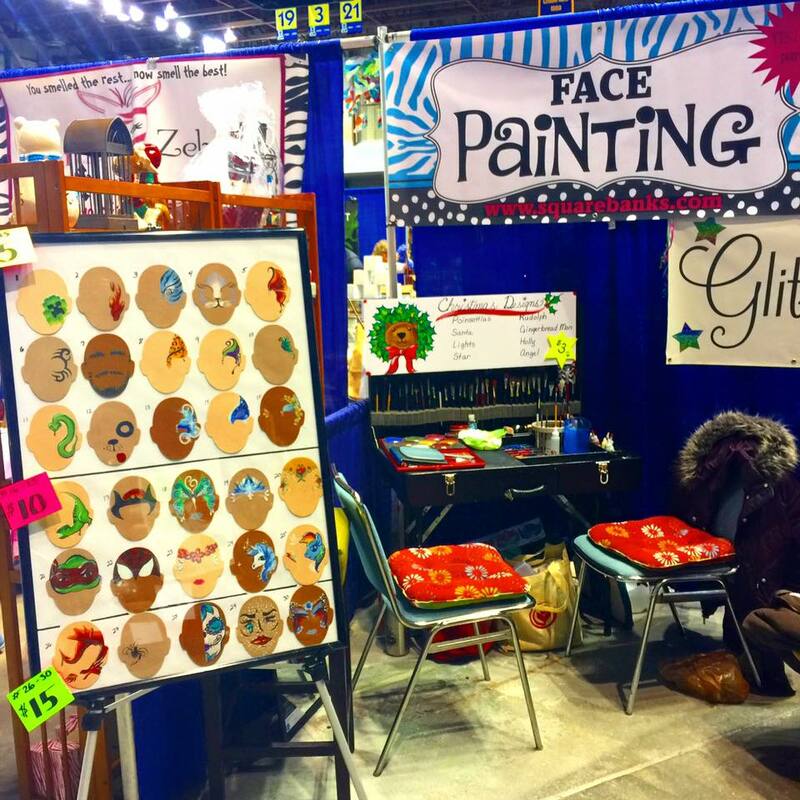 Just as a hairdresser attends classes to learn about new cuts and color trends, face painters need to stay on top of trends to stay competitive. 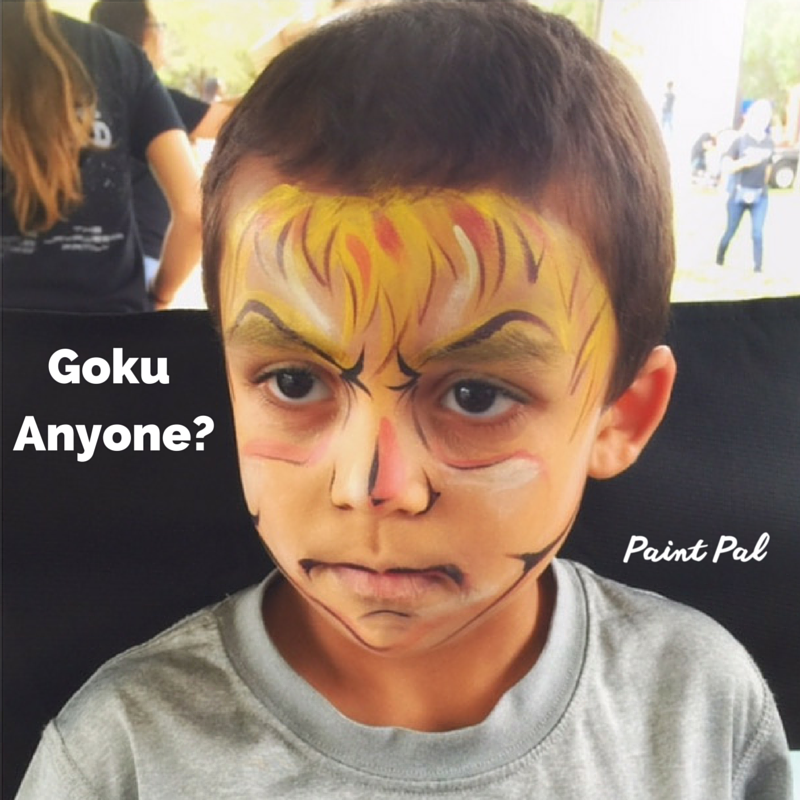 I have several clients that call for themed parties, my last party request was for Dragon Ball Z. Because of the wonders of technology I am able to research Goku and characters and accommodate my clients. During the holidays as kids sat in my chair I would ask them what they were asking Santa for, for Christmas. Over 20 different kids at different events told me they were asking for Emoji clothing. 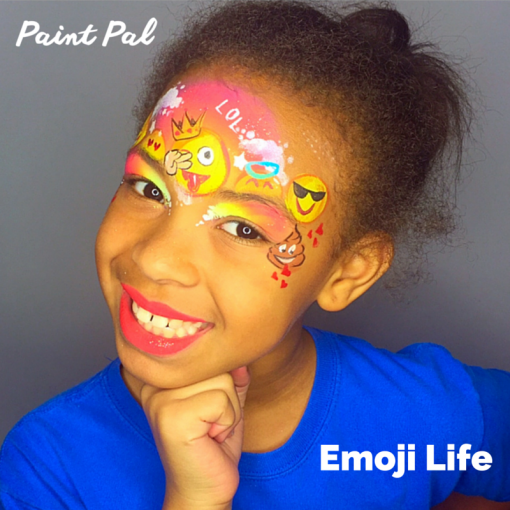 I had never heard of that, but immediately I went to work designing a face painting emoji design. It didn’t require much effort or research to come up with a design and chances are the millions of Facebook forums can help you with inspiration too. So whether you are just getting started or have been painting since the dinosaur ages, ONLY you can decide what works best for you. If you are going to create a display board and need images to use, you are WELCOME to use any of mine (just make sure you can paint them) if you want to use someone else image please make sure you ask their permission. It can get super awkward when an artist sees their work on someone else’s display. My best advice is don’t stress over being able to paint everything under the sun, practice and perfect 10 really general designs and hide some cool “hey bet you didn’t think I could paint that” in your back pocket and pull them out only when necessary. Kids have really low expectations in most cases, they are happy with very little so when you deliver a lot you are golden! My company was just debating if this was a need or not. I personally do not like using a board, but like the blog states it does move the line faster (at times). I believe we are deciding to go with basic designs on a board, but also paint my face and talk to them as you described, but when I do this it seems more inviting to the customer. 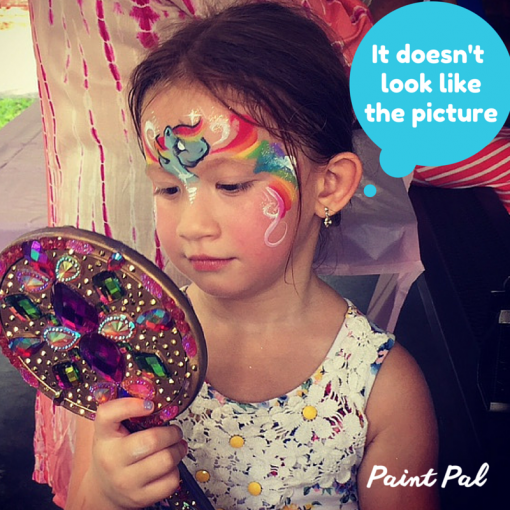 Face Painting is always about the visual and having it on your face shows your skill and most of the time for me the girls always want the same. 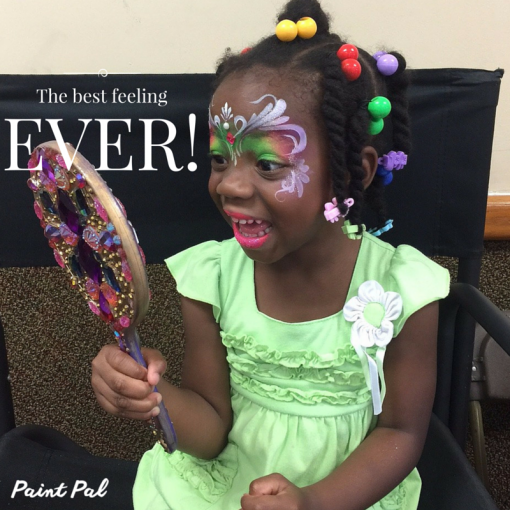 I do love the face painting fourm, but as I keep reading these blogs, there is so much information in them!!! I love it!